with the addition of modern conveniences. 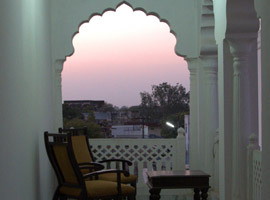 Heritage Sirsi Haveli is a beautiful haveli located in Sirsi a small hamlet on the outskirts of Jaipur, approximately 11 km from the Jaipur railway station and 25 km from the airport. The Maharaja of Jaipur used to visit Sirsi village to enjoy the tranquility around it and worship in the old and ancient temples of Lakshmi Narayana and Raghu Nathji. 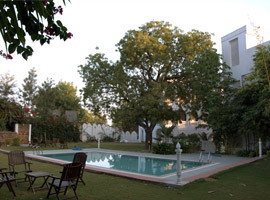 WelcomHeritage Sirsi Haveli, now more than 100 years old, lies in the midst of this charming village. There is no dearth of activities in Jaipur. 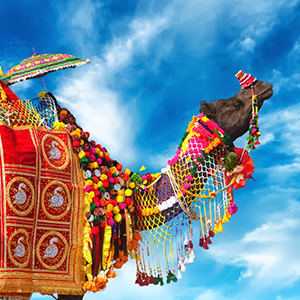 There is something for everyone- palaces for the architecture enthusiast, bright, colorful clothes and shoes for the shopaholic and camel rides and hikes for the adventurer. 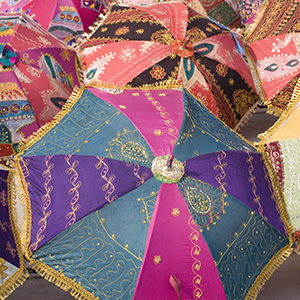 Jaipur will leave you wanting more. Time flies when you are in Jaipur because there are too many things to do and too many sights to see. 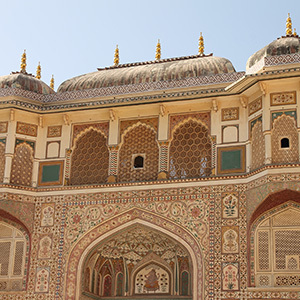 If you are still perplexed how to go about exploring Jaipur here are some suggestions from us. ©Sirsi Haveli 2016. All rights reserved.